Big Brother Gossip: Want Some Big Brother 19 Interviews? Here You Go. Print, Audio and Video. 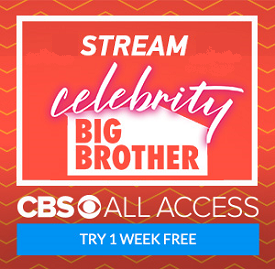 Want Some Big Brother 19 Interviews? Here You Go. Print, Audio and Video. Loads and loads of interviews out there - in "Print" - Video and Audio....... So here you go. I'm not adding to this list - just getting what I can see as of Thursday night. Dr. Will Kirby's Facebook Live Interviews. 2 hours. Please realize Will is bullshitting 90% of the time, doesn't care a lick about the house guests and likely didn't watch a minute of the feeds and maybe 3 episodes, yet these interviews rock - Will is in full Big Brother form - acting exactly like he did on BB2 and 7. Rob Cesternino's interview - he does a great job - especially with Raven. Big Brother 19 is over - what can I watch now?